A spa-like oasis. Tranquil retreat. Your own private getaway. These are phrases that often come to mind when pondering a dream bathroom. But if your bathroom reality conjures descriptions such as “old and battered,” “mold-ridden” or “out-of-date,” fear not. There are abundant options available for turning that not-so-serene bathroom into the retreat you crave. 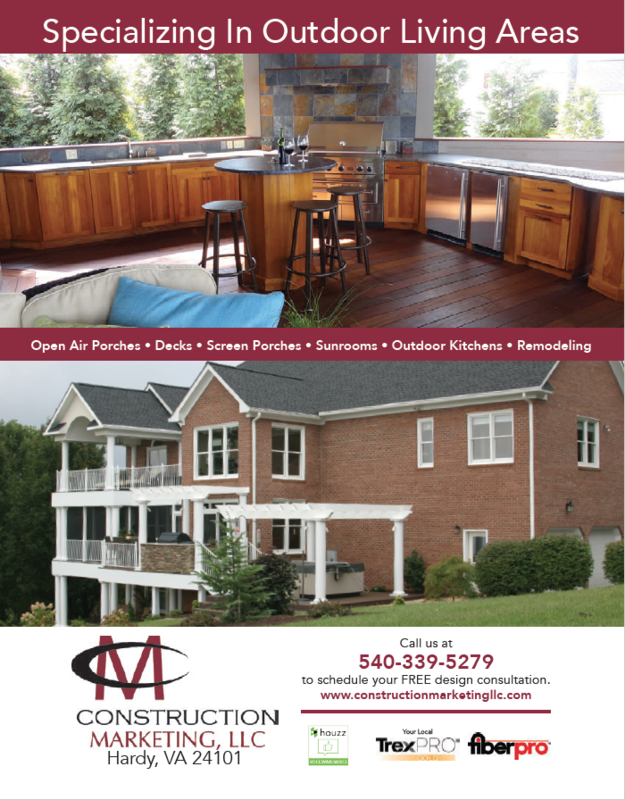 According to the annual cost vs. value report compiled by Remodeling magazine, homeowners in Virginia’s South Atlantic region can expect to recoup a whopping 65.7 percent of the costs associated with a bathroom remodel. Of course, bathroom remodeling costs can vary widely, but if you spend $10,000 you can expect to recover about $6,500 in added home value. 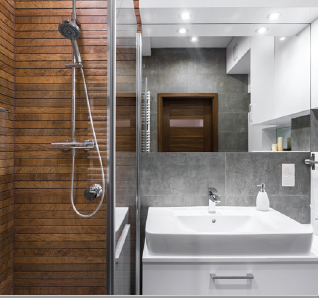 It’s no wonder that bathroom renovations remain the most popular home remodeling project, according to the National Association of Home Builders. Counter height. The new standard for cabinet counter height is 36 inches (compared to 30 inches in 1980). 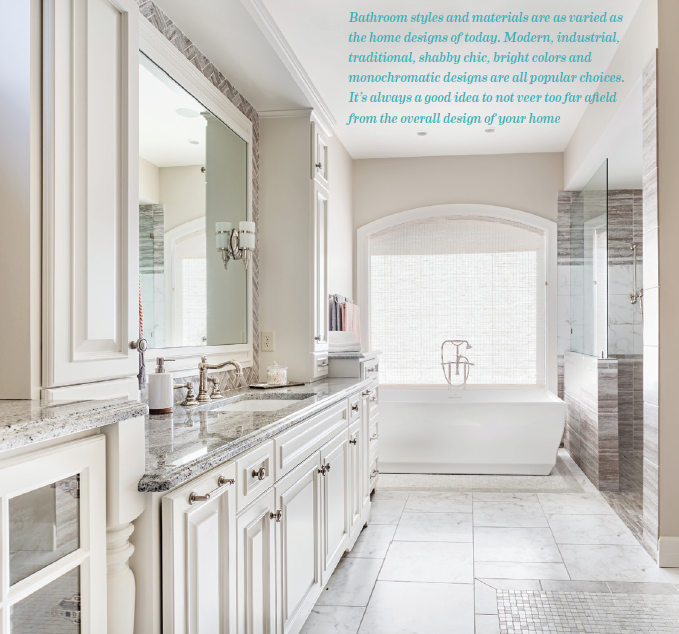 How could this new cabinet height impact mirrors or lighting in your remodeled bathroom? Designing for safety. If you’re entering your boomer years and plan to stay in your home for the next decade or more, consider adding safety options to your bathroom such as grab bars in the shower. To this end you might also want to consider a zero-threshold shower, which reduces the risk of tripping. Shower organization. Inset niches in shower walls can help tame the clutter and provide a home for all those bottles of soap, shampoo and conditioner currently lining your shower floor. Many showers are now designed with two or more niches to accommodate all the items that help keep the whole family looking and smelling great. Keep holders handy. Be sure to map out early your best options for placement of towel rings, bars and hooks, as well as the toilet paper holder. These small design elements are often relegated to after-thought status but can very much impact the functionality of a bathroom design. Who wants to walk across a bathroom, dripping wet, to retrieve a towel because you forgot to include wall space for a hook next to the shower door? Before starting any renovation, homeowners should set a budget range and plan for contingencies. Anyone who’s watched HGTV knows that tearing up a bathroom can reveal a number of unexpected issues. Discovering mold and wood rot behind bathroom drywall is not unusual. Cost overruns also are common in bathroom remodeling when plumbing must be relocated. Most general contractors recommend homeowners be prepared for 15-20 percent overruns when undertaking a major bathroom remodel. In touch with nature. 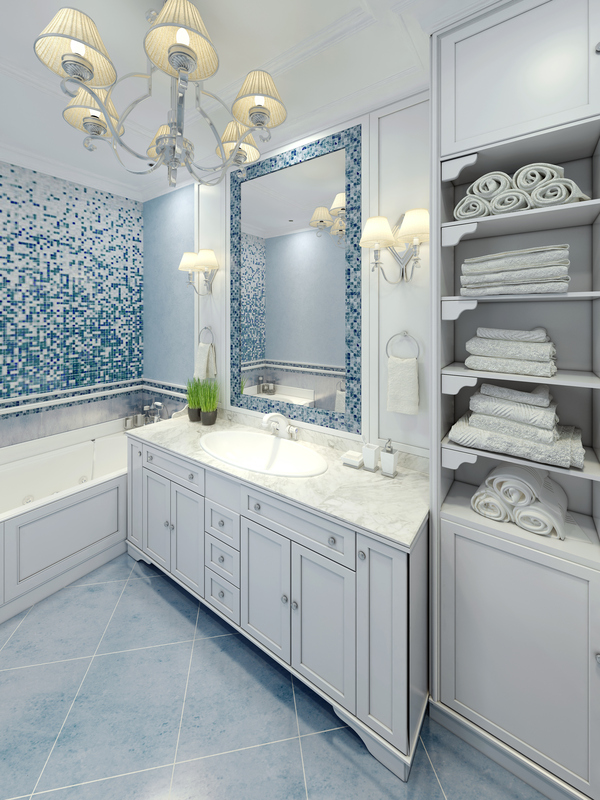 The popularity of cool blues and greens in the bathroom reflects the current trend toward natural serenity. This trend includes the incorporation of wood into bathroom design, a previous non-starter in the bathroom. New methods for sealing and treating wood now allow for use in moisture-laden areas. Several showerheads. Multiple sprays and showerheads continue to be a sought-after design element for remodeled showers. Remember, additional showerheads could also equate to additional plumbing needs and costs. Improved storage options. Remodelers are eager for storage systems that tame the under-the-counter clutter that can accumulate in a bathroom cabinet. Popular options today include pull-out shelves and removable bins. Furniture-like cabinetry. Similar to the trend in kitchen design, bathroom cabinets are now being designed to resemble pieces of furniture. Or, pieces of furniture, such as an old dresser, are being refurbished and repurposed as bathroom cabinets. Big tile. Many homeowners have begun to move away from the small mosaic tile look and more toward larger tiles in neutral colors or patterns. One advantage to this trend includes fewer grout lines to clean. • Replace the shower curtain and/or bath mat. • Purchase a new set of towels. • Update light fixtures or add recessed lighting. • Replace the sink faucet, while keeping in mind how it will look compared to hardware for the shower, tub and toilet. • Update the paint color. Semi-gloss paint is often recommended for bathrooms but does a poor job of covering wall imperfections; be prepared to do a bit of drywall patching and repair. Sherwin Williams’ paint color for 2017 is “Poised Taupe,” a gray with brown undertones that could be a jumping-off point for a beautiful new bathroom look.